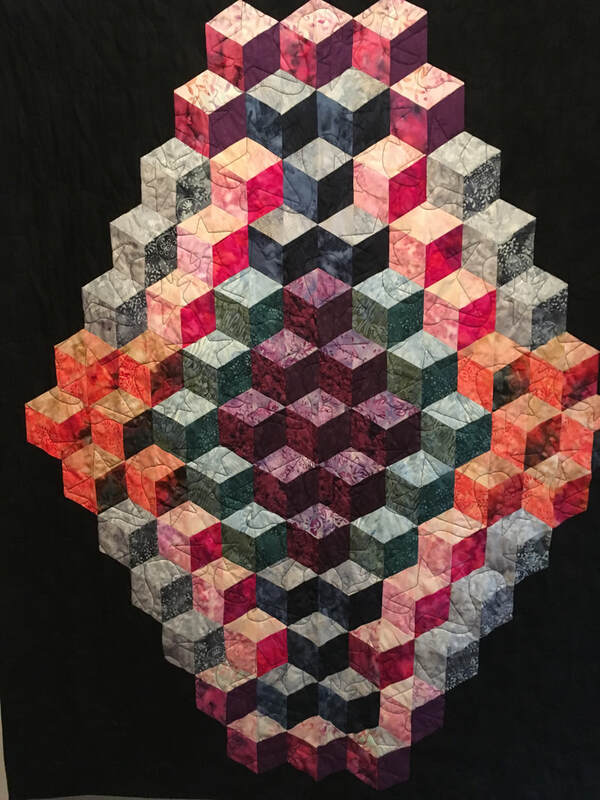 My very talented daughter-in-law, Brandy Maslowski created this pattern for creating machine pieced tumbling blocks. She designed it as a table topper, but I enlarged mine to make a gorgeous wall hanging. I have it hanging in my hallway and many customers have stopped to admire it when passing through. ​Several people have asked if I could do a workshop on this and so … here we go. More information will be posted soon. Let me know if you are interested.